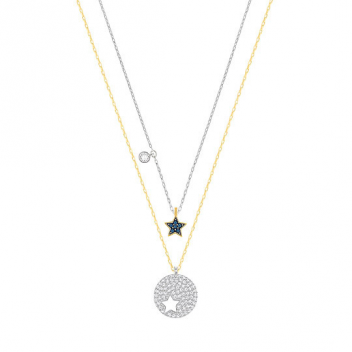 This gorgeous pendant set is sure to add a touch of beautiful sparkle to your look. The set features a duo of star motifs created in stunning crystal pave. The star is said to be symbolic of wish fulfillment, and is believed to help wishes come true. Why not wear with other pieces in the collection for a truly opulent look.